"experience at the airport was unsatisfactory"
✅ Verified Review | My experience at the airport was unsatisfactory. The staff was rude, unhelpful and arrogant at the security. Also they refused to answer in English but clearly they understood what I was saying. The airport should review they way of treating customers, I'm a frequent flyer and have never been treated with this level of disrespect. "the whole experience was very unpleasant"
✅ Verified Review | The staff in this airport were rude and the security queue was unreasonably long. I arrived early at the airport because it was my first time flying from Cologne, only to have to wait for one hour outside security control because there were no staff available to perform the controls. The staff did not explain anything to the passengers waiting, leaving us wondering if our flights would even depart. On top of that, the staff were rude and only spoke in German even when spoken to in English. Luckily I did not miss my flight but the whole experience was very unpleasant. I will try to avoid this aiport in the future. "the terminal signs are confusing"
The worst airport, I’ve ever travelled in Germany. Let’s start with the good things here at CGN: It’s a pretty clean airport, the seats are comfortable and the WiFi works fabulous. That’s it. The terminal signs are confusing, even for a German citizen like me. You normally have to wait for a long time in the queues and behind the security check-lines there is a lack of shops and restaurants. Not to talk about the missing smoking areas, which is pretty bad for smokers like me. The airport staff seem to be annoyed of every question. So if I can just give you one hint: if you want to travel Cologne, fly to Düsseldorf airport and take one of the trains in the direction of Cologne there. 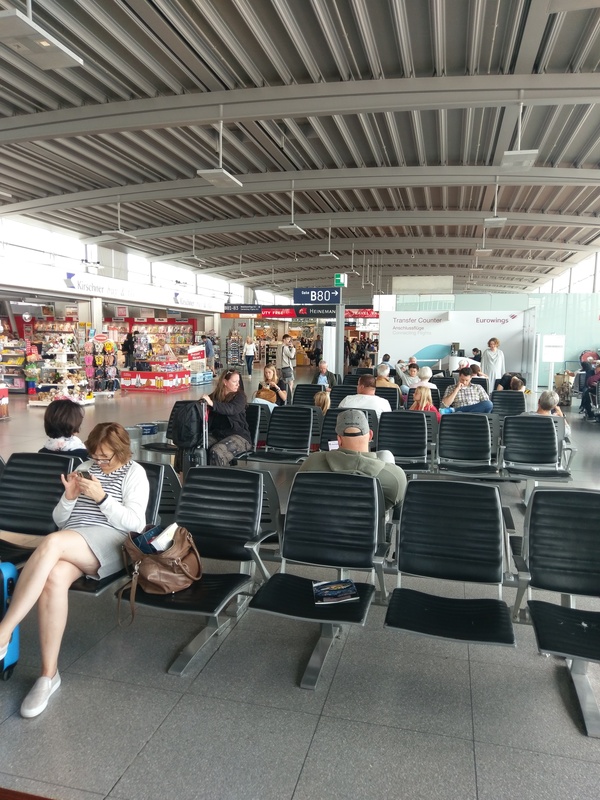 It’s just better and even more comfortable because Düsseldorf Airport is the better one and you have to take the train or a rental car anyway. ✅ Verified Review | I use this airport fairly frequently. Restaurants, shops and similar services great, arrivals are superb. The structure of the airport is not ideal. The signs are confusing and you can easily end up at the wrong end of the building. Departure is a serious problem. It lies mainly in the security checks. The standard security staff are always friendly but the management is atrocious. As soon as there is a queue of more than 30 people your waiting time will exceed 20 minutes. There are plenty of lanes but I have never seen more than two in use. It happens a lot that a long queue has one of its conveyors shut down simply because the staff will take a break. The supervisor (never friendly, never) simply cuts you off and sends you to another queue even though five minutes before another supervisor told you that you are the last allowed through. This leads to unnecessary frustration and people queuing at airports for too long are cannot be treated like this. It is down to unqualified, indifferent supervisory staff left in charge of security. Sort it out, CGN! The next issue are inadequate passport controls to non-Schengen countries. One or two officers are simply not enough. Normally you could say that you "had a bad day" but this happens every single time I fly from CGN and management is not solving these very obvious issues. Lastly, the hygiene at the airport is perfectly fine except for the toilet design. You cannot have doors with handles at busy international airports. They must be walk-in-and-out toilets. There are many aspects that are simply not taken seriously enough at this airport. ✅ Verified Review | Airport is great for arrivals, no queues and quick check. Good train connection to Cologne, close to airport and 15 mins away from Cologne city centre. Terrible service for departures - rude staff, huge queues. Not recommended. Staff during check in stopping people without any reason resulting in even longer queues. Cologne airport has a shambolic track record when it comes to security controls. 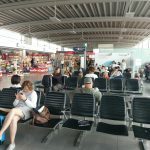 Long queues are common and it seems that the airport is surprised that there are periods in which more passengers travel. It is really infuriating how the supervisors just shrug their shoulders and when talking to senior airline and airport representatives, they all they there is nothing they can do because it is the Federal Police that is in charge. Having written several letters, finally to the MD of the airport, there is very little in his reply that could restore my confidence. What adds insult to injury is the fact that Eurowings is asking passengers to pay real money for the privilege of using a fast track lane ("Best" tariff) but can, 5 out of 10 not deliver on a promise of fast track. Flying from Cologne at least once a week, I have started playing the sad game to memorize the person behind me, using the normal security lanes, and see who is quicker: this person or me in "fast track". As I said, half the times fast track is snail pace (also because nobody really takes charge of it) compared to the normal lanes. Knowing when to use which is the roulette that I would rather not play, having paid for a privilege. At least, I have the privilege of using a lounge - relying on the terminal seating would infuriate me even more as there is too little space for too many passengers. No long queues, the way from check-in to the gate is short and there are some restaurants, cafés and shops in all parts of the airport. Airport parking is not too expensive but not cheap either, if you plan to park for a longer period, better book online, the prices are lower. We would always fly from and to Cologne again. Flew to/from Terminal 2 on a return flight from London Stansted with Ryanair. First impressions were very good with a clean, spacious Terminal following a quick and easy arrival. On Departure however the Security staff were rude with poor communication to passengers and took a long time to process each person (thankfully it was quiet) although I appreciate they are there for our safety so take that one on the chin. Was a bit disappointed with the range of shops, bars/restaurants and were nothing more than just about adequate, particularly once through the Passport checks that UK flights are subject to. Other than that, not too unpleasant though I feel we might have been lucky as were only one or two other flights in the same Terminal during the two and half hours we were there. Overall not too bad an airport and well connected to Cologne via train. "there are still not enough plugs for laptops"
How is it possible that in the area of departures there are still not enough plugs for laptops? I never can charge my laptop when not sitting in the lounge and in the departure area for flights to the UK there is no lounge. This is just very, very bad service and it doesn't help that this airport always plays the pling-pling music with the anouncement "hope to see you soon". No, hope not to have to fly from Cologne-Bonn Airport again. Short distances, almost all relevant services for continental travels, fair pricing for parking, 24/7 operations, friendly atmosphere. WiFi is free of charge but occasionally overloaded, limited selection of food and beverages in the security area but too expensive (as probably on all airports). Power outlets in public seating would be nice. Whenever I can I fly from CGN instead of DUS, DTM, or FRA.